Jessica works tirelessly for her clients in and out of the courtroom. She has more than fourteen years of experience representing clients in family law and bankruptcy cases. 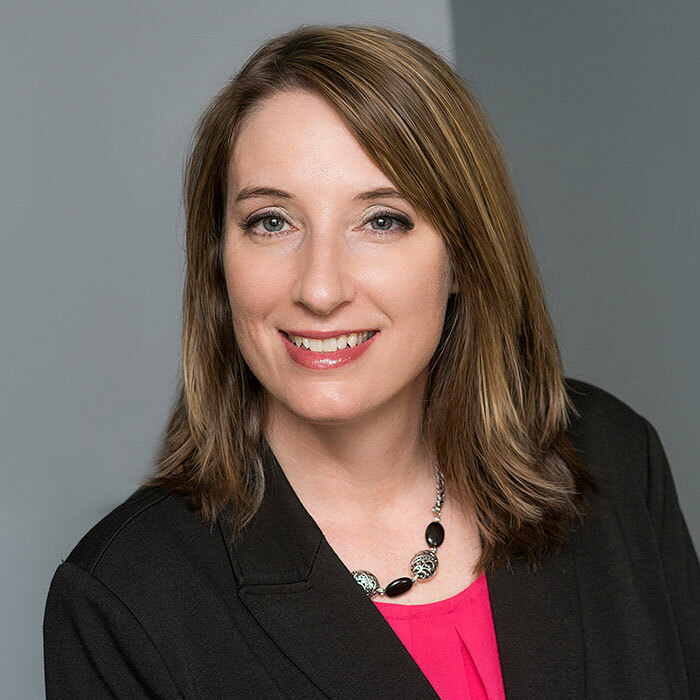 Jessica is an experienced litigator, representing mothers, fathers, husbands, and wives in difficult family cases. Her dedication to service continues outside of the office, with volunteer positions throughout the community and youth sports. Jessica is 2001 graduate of Augsburg College and 2004 graduate of William Mitchell College of Law. She started her legal practice with Southern Minnesota Regional Legal Services and opened her own practice in Faribault in June 2010. Jessica is admitted to practice in all state courts in Minnesota and the United States Federal District Court for the District of Minnesota. She is a qualified neutral under rule 114 of the Minnesota Rules of Practice, allowing her to serve as a mediator and parenting time expeditor in family law cases. Jessica is active in the Faribault and Northfield communities, serving on the Board of Directors for the HOPE Center, the domestic violence resource center for Rice County, from 2008 – 2014; past Vice President for the All About Action chapter of Business Network International (BNI); member of the Faribault Chamber of Commerce. Jessica is currently on the Northfield Volleyball Club board of directors and serves as a team coach. Her former law office was named the Faribault Chamber of Commerce Small Business of the Year for 2015. She is also a North Star Lawyer for 2016 and 2017, for completing at least fifty (50) hours of annual pro bono legal services. Jessica is a resident of Dundas, and enjoys spending time with her family, playing sports, and being outside. She also actively volunteers in many different causes in her church and community.